What I love most about KetchApp's games is that the concepts are so simple and so beautifully executed. 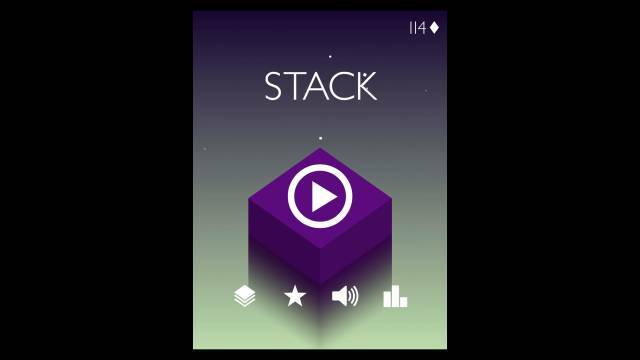 In the game the idea is that blocks move from the left to right of the screen, when they are exactly aligned with the one below it you tap the screen and the block drops, then you do the same to the next one. Each time you slightly miss, the block target gets smaller! The game is free to play and download and there is a small and is supported by non-intrusive advertising. There is a small charge for the ad-free option. The game is super easy to play and is quite addictive, the concept is very simple but it is a game that is very difficult to master and requires a ton of concentration. Graphics and sound are pretty functional, but sometimes the colors used in the game make spotting the exact right drop spot for the tile difficult to spot. All in all, this is a very tidy game and well worth a look if you like this sort of thing and like to test your skills and concentration over a period of time.